Buffalo State has previously been approved for OSAP purposes so it is not necessary for us to complete an Institution and Program Approval Form.  OSAP has listed our school name as STATE UNIVERSITY NY – BUFFALO STATE COLL. Please allow a week to ten days for all processing, especially during peak periods at the start of a new semester. Physical mail being sent to a Canadian address can take up to two weeks to be delivered, so please allow plenty of time for your requests. All forms signed and stamped by the Office of Financial Aid will be returned directly to the OSAP program and not to the student. OSAP forms requesting information regarding tuition for Canadian tax returns should be submitted to the Student Accounts Office.